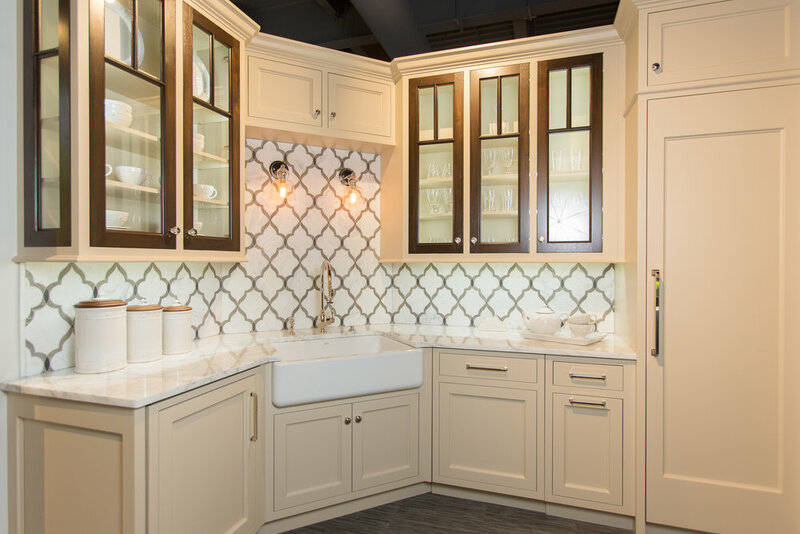 We were very busy over the winter working on a super exciting collaboration with Clarke Appliance Showrooms and Plain & Fancy Custom Cabinetry. We were selected to complete a small vignette with a long list of Sub-Zero, Wolf and Asko appliances. We used our design expertise, along with Plain & Fancy Cabinetry's flexibility and product offering, to create a gorgeous Modern Farmhouse vignette. Our goal was to create something that was true to our 'Details' style while adding a modern twist and lots of modern amenities! We are extremely honored to be a part of their gorgeous completely renovated state of the art showroom! Please enjoy our gallery of pictures below. 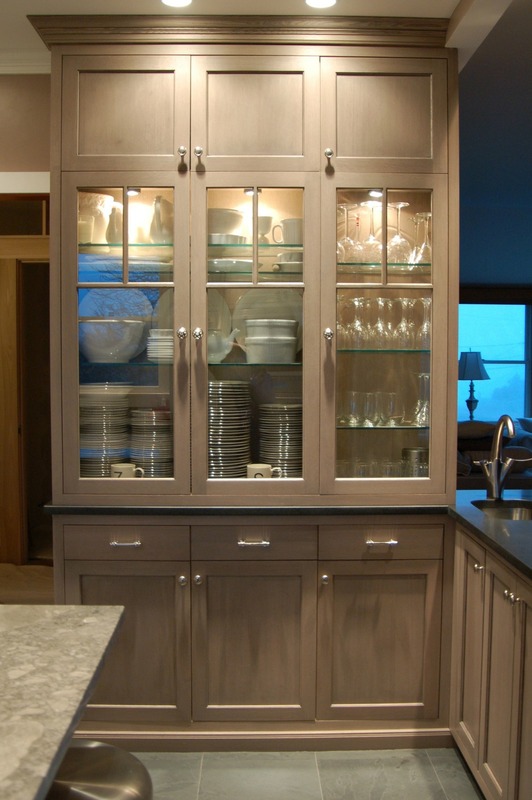 One of our favorite parts of design has to be the accessories… and cabinet hardware can truly change the look of any space. 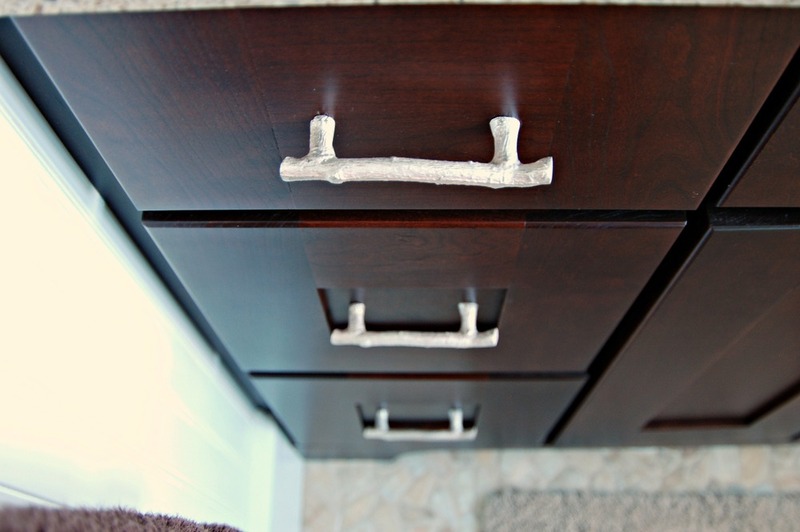 It’s like jewelry for your cabinets! 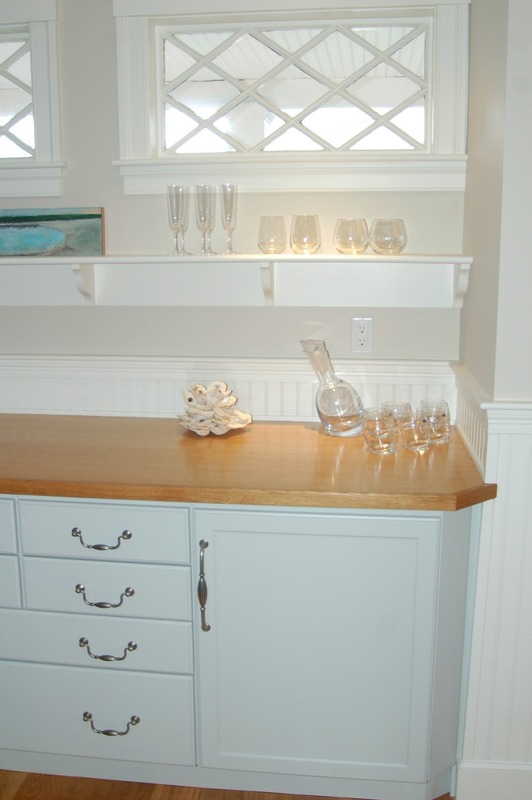 We have a fantastic selection of all different types of knobs and pulls at our Mattapoisett showroom. At the start of each year, our hardware companies delight us by introducing brand new collections and designs. It’s definitely not just about metals anymore! Here are some of our new colorful favorites for 2015! Emtek makes some of our absolute favorite crystal knobs. They make a range of styles that fit so many tastes from traditional to modern. This year they’ve rolled out COLOR crystal knobs!! These jewel-like pieces are sure to transform any room in your home! 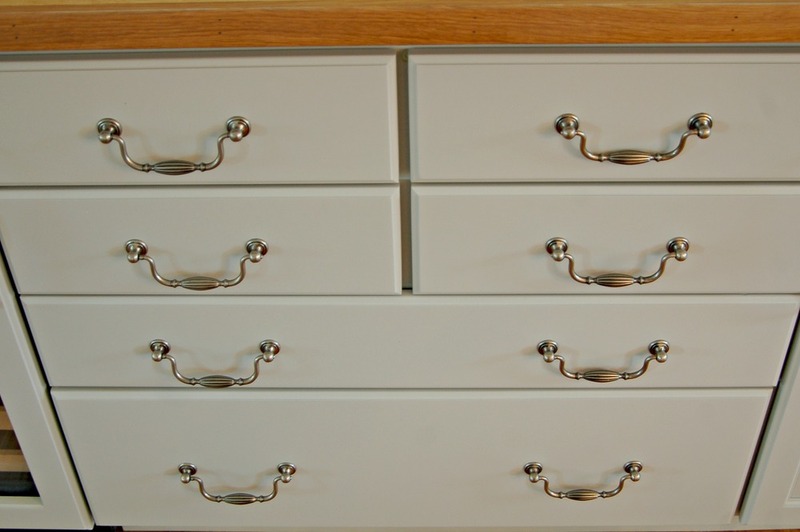 Atlas Homewares is always known to have a wide variety of cabinet hardware, and their newest styles are no exception! This year they’ve extended their Dream Glass collection to include dreamy greys, sophisticated tans and even animal print! Sietto glass has stand-out designs in a wide array of colors! We’ve always loved their wavy glass hardware, but their newest line is just too much fun to ignore! Check out their new vintage collection. Hashtag knob anyone? If we’re on the subject of outstanding colorful hardware, we cannot fail to mention Windborne Studios. Their hand-cut hardware is truly unique and special! Check out some of their incredible thick cut glass knobs. Dazzling and durable! Stop in soon to see these and the rest of our incredible selection of decorative hardware! And remember – don’t be afraid of a little color for 2015! Our new Embassy by Omega Cabinetry display is COMPLETE! We are calling it "California Contemporary". The sleek pure white SileStone counters compliment the warm maple cabinetry and beachy glass backsplash tile (thank you Nate Picard of Picard Tiling!). This display houses a variety of cool storage inserts while keeping the design really simple and clean. We are featuring a fully integrated SubZero Refrigerator/Freezer combo unit and a Wolf Microwave Drawer. The simple square undermount sink is by Dawn and the contemporary faucet is by Waterstone Faucets, made in California. Stop in soon to check it out in person! We are very excited to welcome Danielle Sylvia to our team at Details! What a perfect fit! My name is Danielle Sylvia, and I am from Rochester, MA. I graduated from ORR in 2011, and made the crazy (or not-so-crazy) decision to attend college in California. I am quickly approaching my last year at Point Loma Nazarene University in San Diego. I feel very lucky to be so confident in what I want to do, and to love what I study. At PLNU, I take mainly interior design and business classes, and work with real clients to design their residential and commercial spaces; implementing my hand-drafting, AutoCAD and Photoshop skills, and often, various universal design elements. I am so excited to graduate with honors in Spring 2015 with my B.A. in Interior Design and move back to the east coast to begin my career. I have been in love with interior design ever since I can remember, and I am looking forward to beginning my journey with Details. As the Design Consultant, I will be assisting the owners, Jill and Tena, with designs, project coordination and sales. I couldn't be more excited for this amazing opportunity! 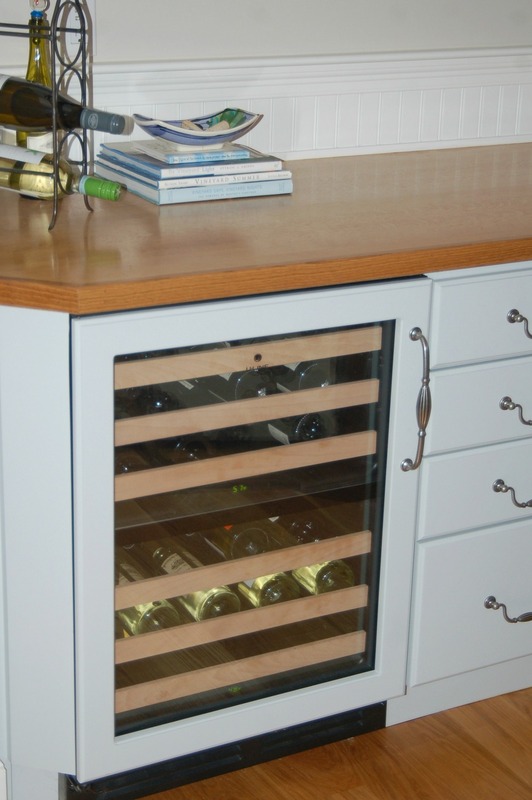 We were pretty excited to read the latest review on our Houzz page! Our client also took a moment to post a few photos on our FaceBook page. I knew from the beginning that I needed a designer to help with a complete remodel of my almost 30 year old kitchen. 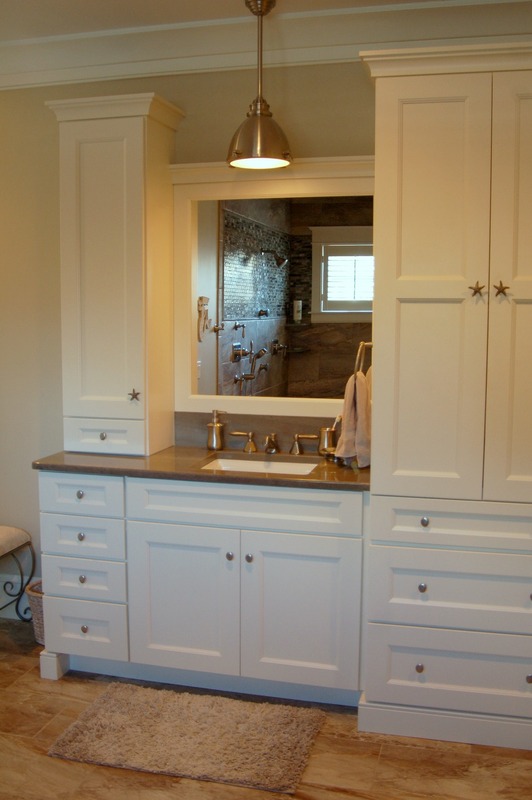 A friend recommended Kitchen Bath Details and it was GREAT experience from start to finish. Tena designed a fabulous kitchen that is both beautiful , functional and meets all my needs. Beyond the design, Tena, Jill and Lauren were there every step of the way to help with all my decisions from appliances to hardware to and color and organizer ideas. They are responsive to your needs and work well as a team with your contractor to address any issues that come up during the installation process. It was great working with each of them and the end result of all their design work is an absolutely AMAZING kitchen.. I wouldn’t hesitate to recommend them to anyone in need of a stress free experience. Join cookbook author Karen Covey for a fun night of cooking! Space is limited, so be sure to register today! Cooking classes are back at Details! Space is limited, so sign up today! Every now and then, our Project Manager, Kathy, goes back to her roots as a kitchen designer. She had the great pleasure of working with a wonderful couple on their Westport home. Without question, the greatest challenge with this year-round family retreat was the limited space. 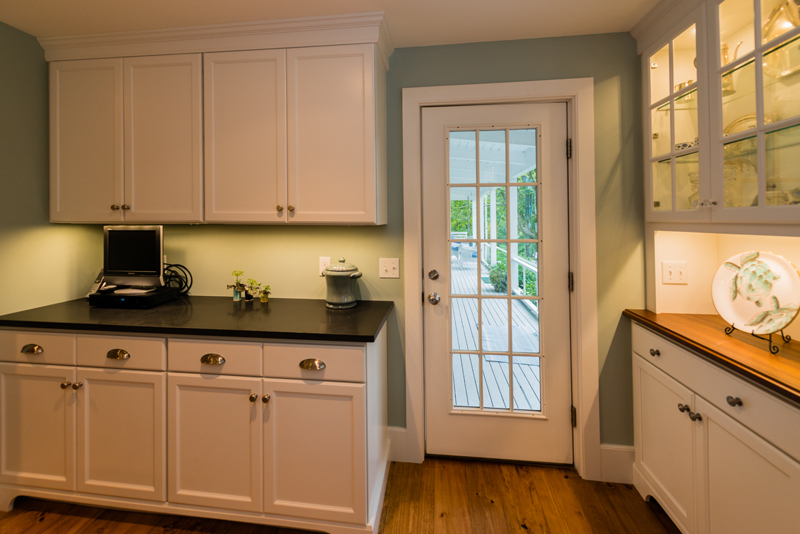 By eliminating two small rooms, a pantry and powder room, we enlarged the kitchen 40% to a total of 171 square feet. Additionally, multiple traffic runs intersect the room, complicating the design. The homeowners, a couple with three adult children, are passionate about entertaining at their numerous gatherings. 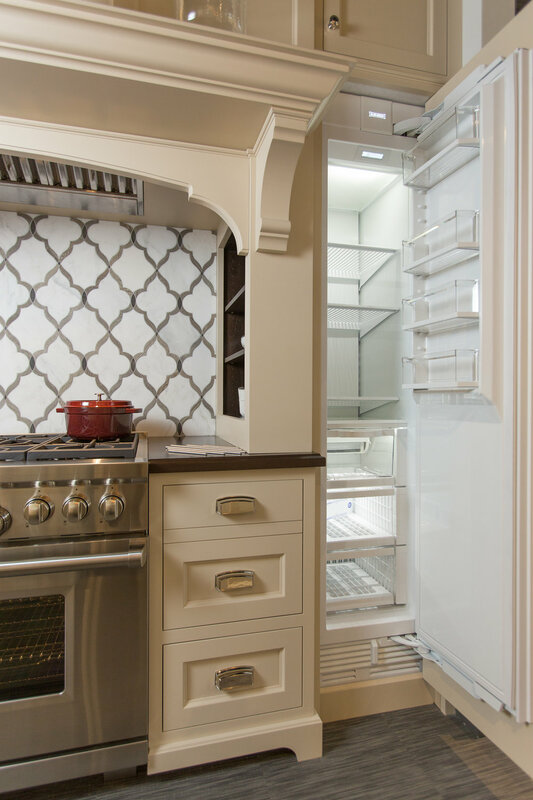 With a long list of cooking and food storage needs, and an eagerness to invest in the best quality, it became apparent that Wolf and SubZero appliances were the perfect solution. Every inch of the kitchen had to be scrutinized in the design. 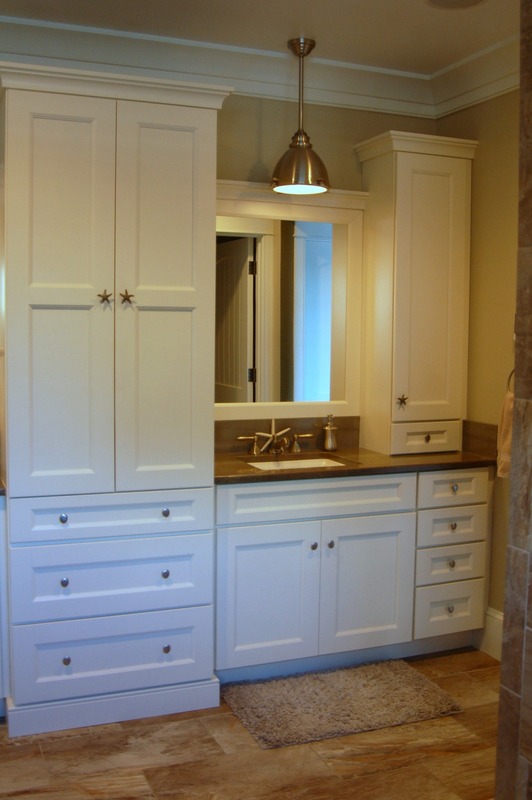 The custom cabinetry with inset construction was selected to compliment the stately coffered ceilings. The beaded openings frame the flush inset Wolf oven and microwave. Tandem installation of the fully integrated 700 Series SubZero refrigerator and wine storage unit added to the custom detailing we needed to create this elegant kitchen. 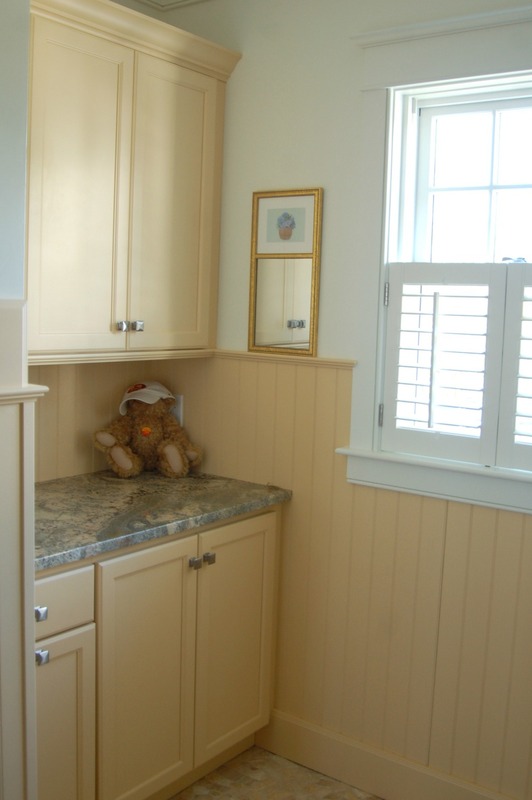 This lovely home has a 270 degree vista of Buzzards Bay. The driftwood finish on the pantry and wet bar adds a contrasting rustic charm with a design nod to the sea, and ties in perfectly with the sleek stainless steel of the appliances. We are very excited to share the great kitchen transformation at our ‘Ship Street Serenity’ project. 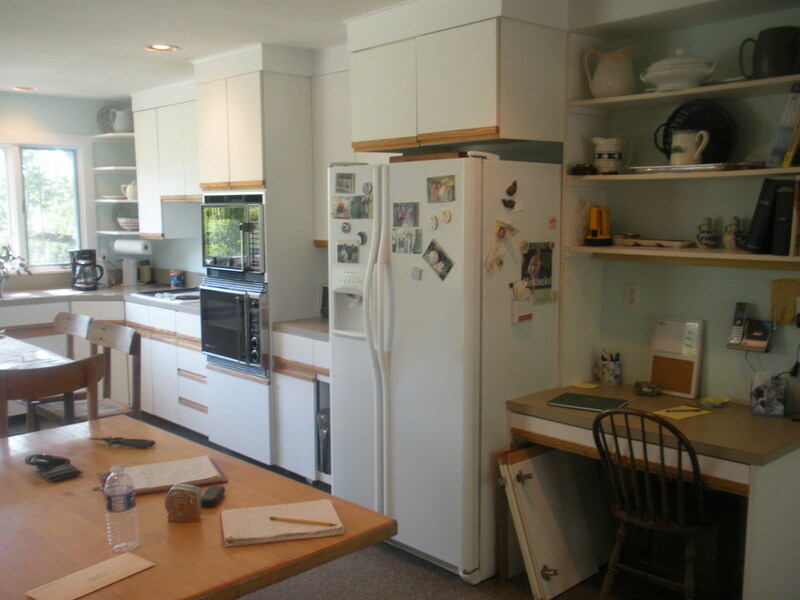 Tena turned a completely dysfunctional and dated kitchen into a fully functional dream come true for our clients. The main goal was to create a space for our clients to enjoy life in a serene atmosphere. We selected a beautiful Praa Sands Cambria countertop for the island and the pantry to bring in calming colors of sea glass. This countertop was our key in tying in all of the other elements in the room. This West Yarmouth Retreat, which started as a basic summer cottage, was transformed into a magnificent and luxurious summer home. Our clients were looking to create a space that was cozy for the immediate family, but also functional and suitable to entertain a large crowd. This was achieved by creating a spacious kitchen with a bar in the adjoining family room. Coastal hues were used to create a sense of tranquility, as this is their place to come and relax. The kitchen island was sized to create a dining area for four, with two stools on each end. This configuration works perfectly for meal time chats and avoids the dreaded “diner seating” effect. The seating arrangement also works well while entertaining, as it keeps family and friends out of the main cooking area, but not completely shut out of view or conversation. It was so exciting to see this kitchen completed and see how happy our clients are with the end result. There is nothing better than happy clients! 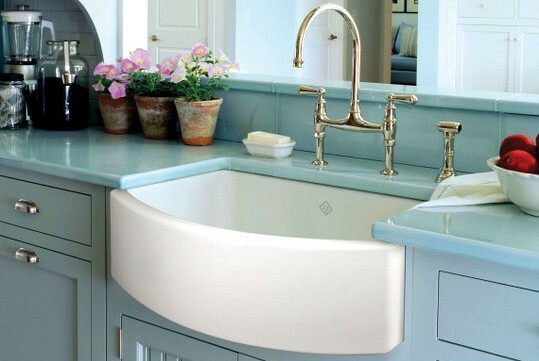 Introducing the new Waterside Apron Front Sink for Rohl! 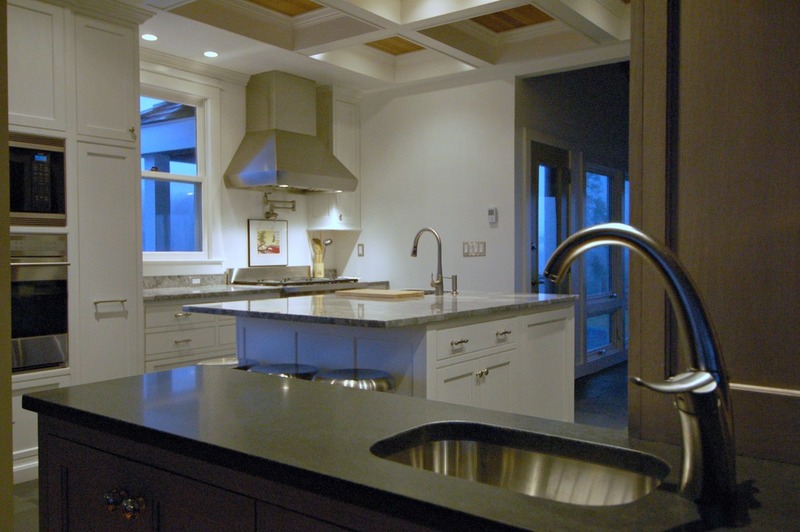 Our clients just LOVE apron front sinks (and we do too!). We are so excited to be able to offer this beautiful award winning sink as soon as mid July. Be sure to look for it in our upcoming completed project photos! !